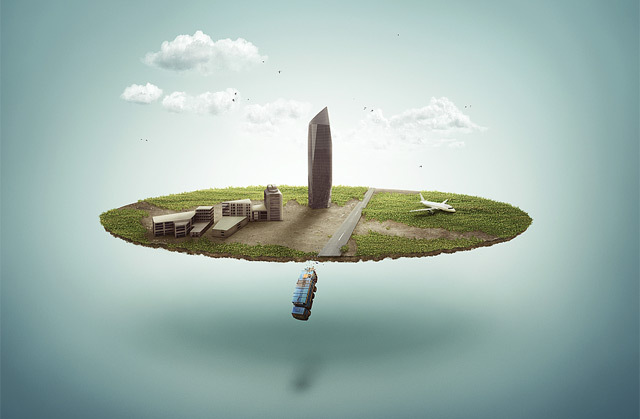 Photoshop tutorials are definitely one of the best ways to learn and master the tool. There are lots of high quality and variety tutorials on the web available for free so you can learn something new by yourself not going out from home. 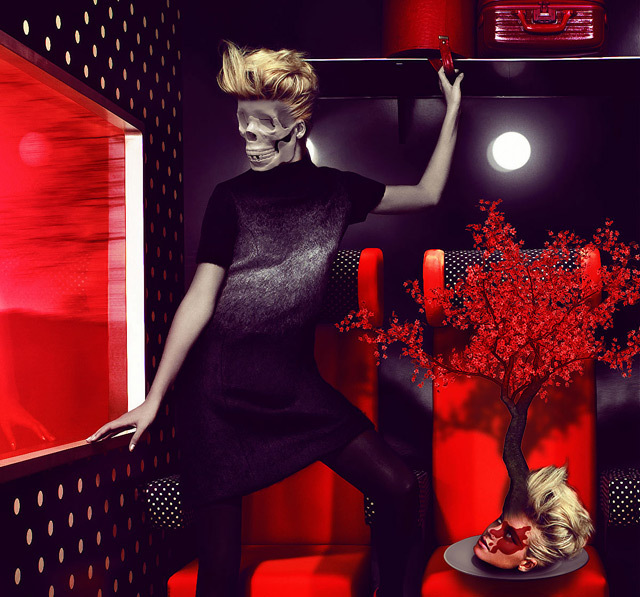 Today I’d like to focus on some of the more surreal and bizarre Photoshop tutorials. Most of the covered techniques are blending options, color variations, composition, contrast and much more. 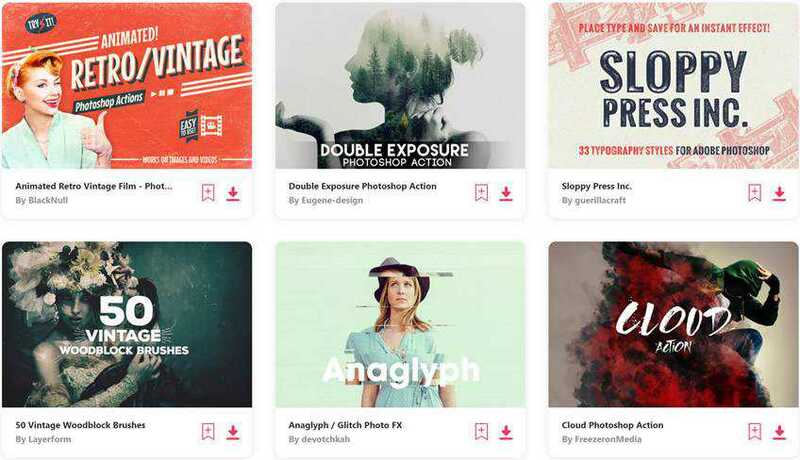 These tutorials will be useful for beginners as well as advanced Photoshop users. 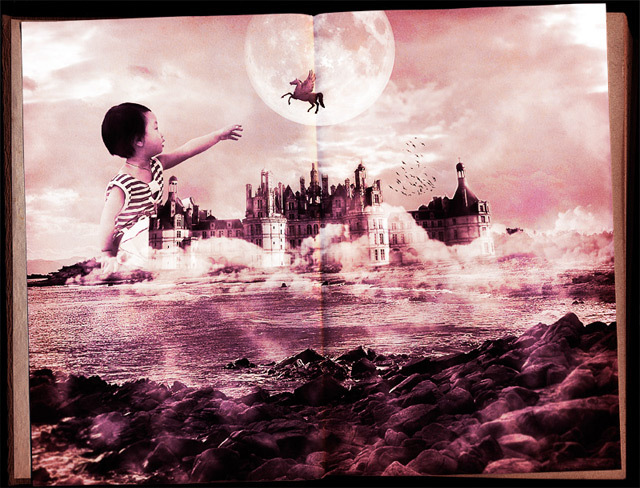 In this tutorial, Mike Harrison shows you how, by blending a number of photos together. The specific techniques you’ll learn will be how to specify a light source and apply realistic lighting and shadows to the objects, and how to use subtle effects like colour treatment, texture and adjustment layers to give a certain mood to the final image. By doing this tutorial you will learn to create creepy atmosphere and horrible scene using various stock photos. 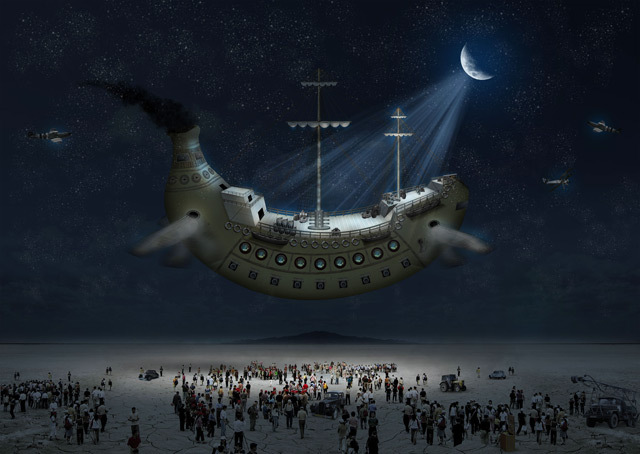 In this tutorial you will learn to create a fantasy flying ship from a photo of a banana. 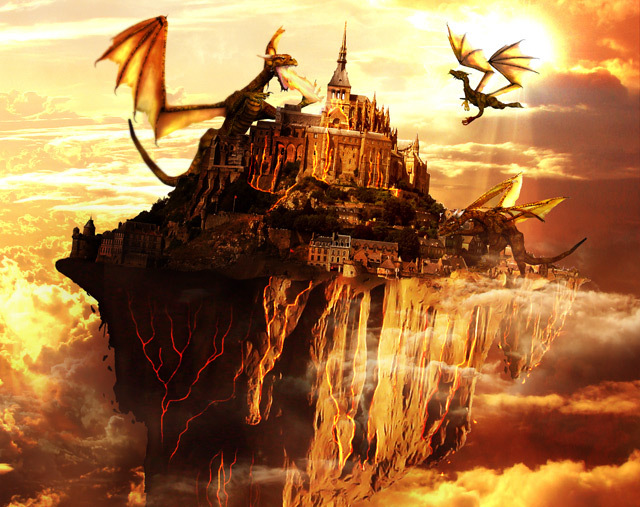 This tutorial is about creating a fantasy illustration using some dragon images and a few cliffs for creating the land. You’ll also learn to add lava and fiery effects. In this tutorial you will learn to create a unique digital art piece that easily can be used for high-quality printing purposes. There is water, balloons, fish, vegetation, a gloomy passage and a fashion nerd — this can not be nothing but awesome together! 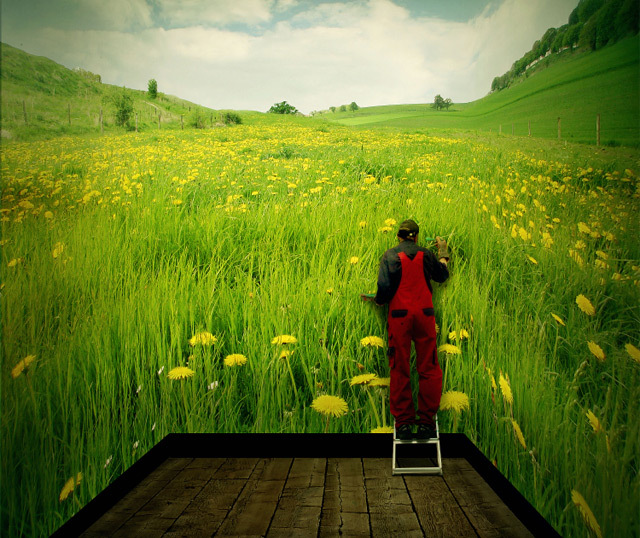 In this photo manipulation tutorial, you will learn how to create a realistic composition of a painter using a room as his canvas. It looks like the room is outdoors in a vibrant field. Skating in clouds. Magic scene. 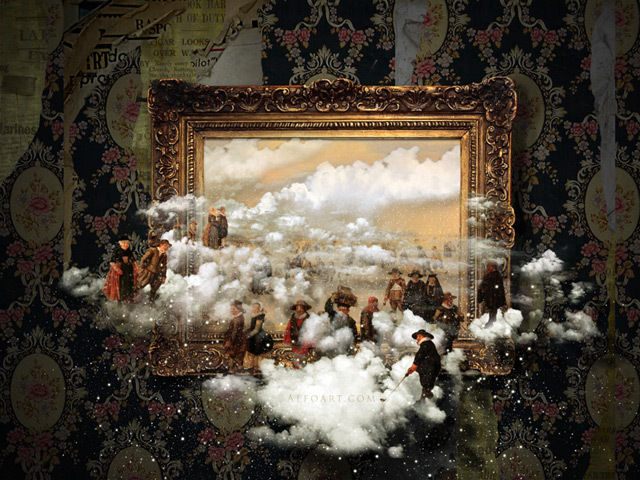 In this tutorial you will learn how to create a surrealistic scene with dreamy clouds and people from the past. 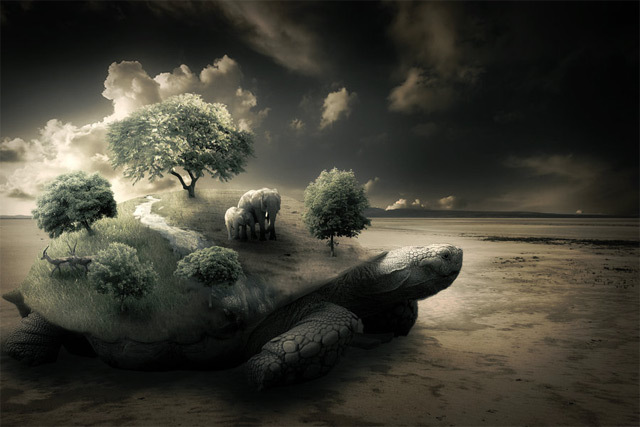 This tutorial shows how to adjust lighting and colours in my images to create this surrealistic turtle. 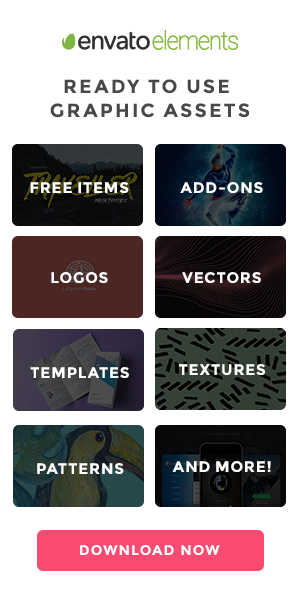 Hopefully, you’ll be able to transfer these methods to your own work. 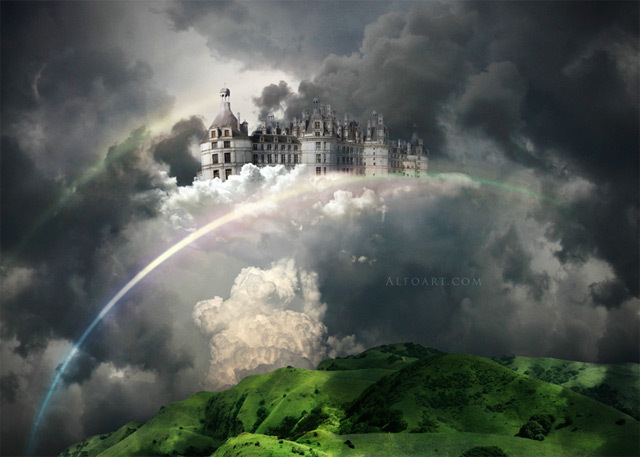 The easy way to create beautiful photo manipulation with green landscape, dramatic sky, rainbow and castle in the white clouds. This won’t be so much of an exact and precise, step-by-step tutorial. 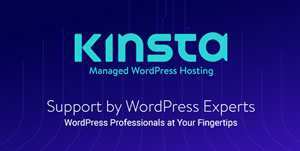 Author will explain the basic steps and techniques used. By doing this tutorial you will learn how to build up your own micro society using many different pictures and some cool photo manipulation techniques. 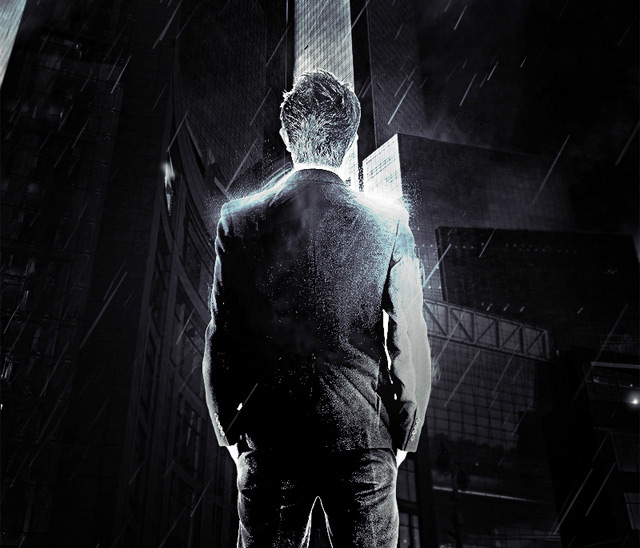 In this tutorial, you will see you the steps to design a dark surreal urban scene with space brush in Photoshop. This is an intermediate tutorial so some steps can be tricky, but why not have a try. 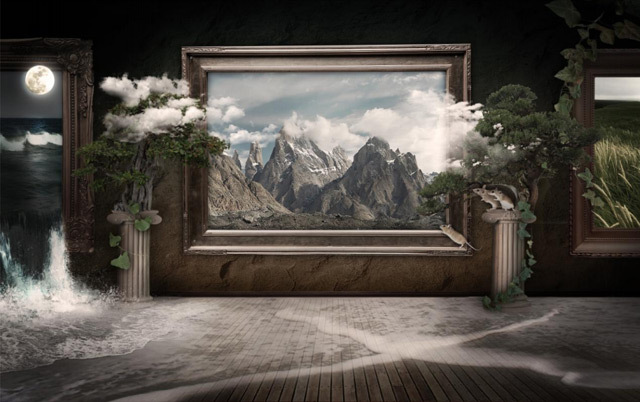 This tutorial explains professional photo-manipulation techniques to create a surreal and dramatic scene in Photoshop. You will start building up a vivid background, then you will focus the work on the characters and the meaning of the composition. 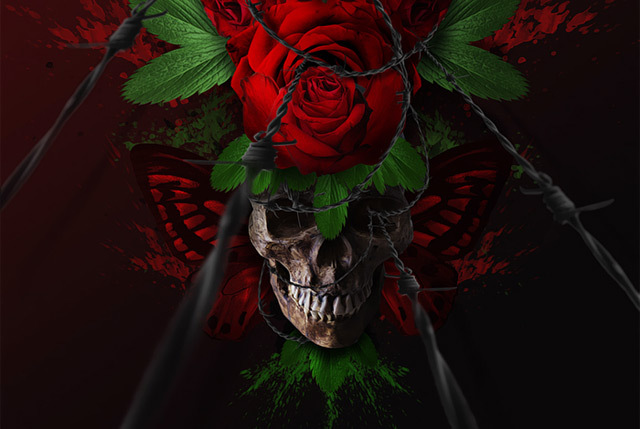 In this tutorial the talented graphic designer Edmar Cisneros will explain an easy way to realize a marvelous conceptual composition in Photoshop, using skulls, flowers and barbed wire. You’ll learn some useful techniques to make your works symmetrical and work on small details, with a color balanced and unique end result. 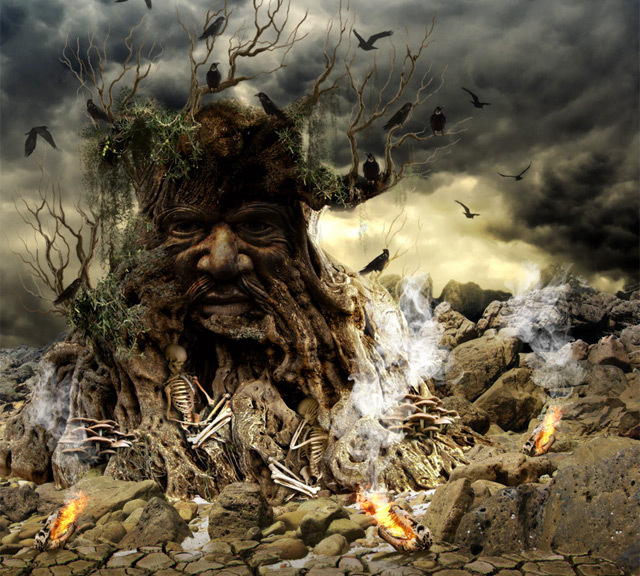 Following this tutorial you will see how to create a fantasy horror scene in Photoshop. 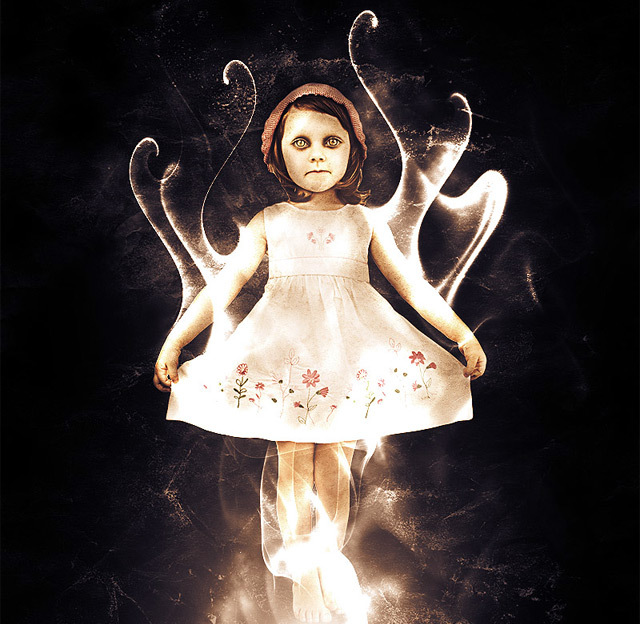 You will learn how to use some of grunge textures to realize the background scene, several Photoshop filters to create light effects and turn the picture of an innocent child into a diabolic character. 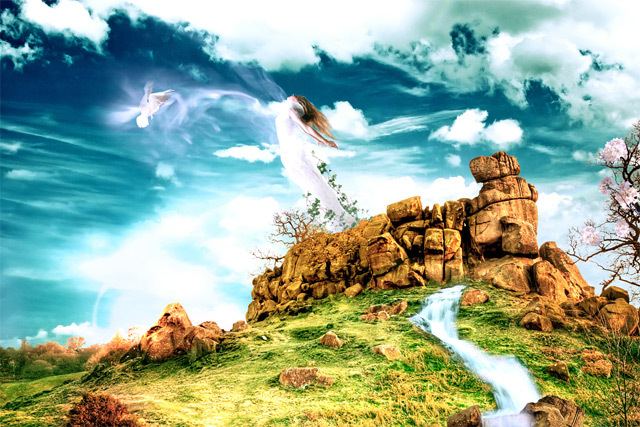 This tutorial will show you how to combine some stock images in Photoshop to create a fantasy photomanipulation. You will play in particular with colors, mask and adjustment layers. 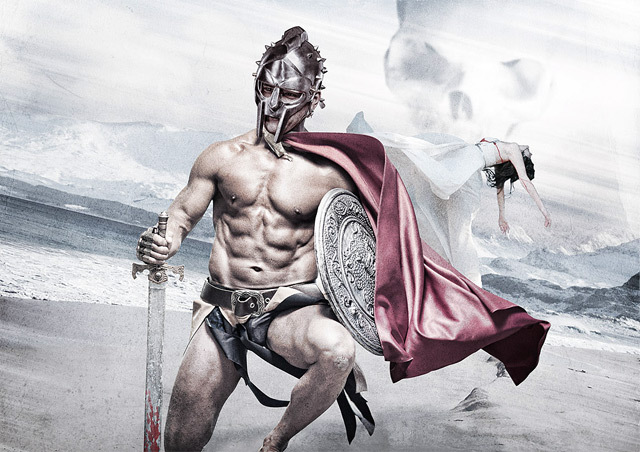 In this Adobe Photoshop tutorial, you will be making a design that has an ancient feel to it. 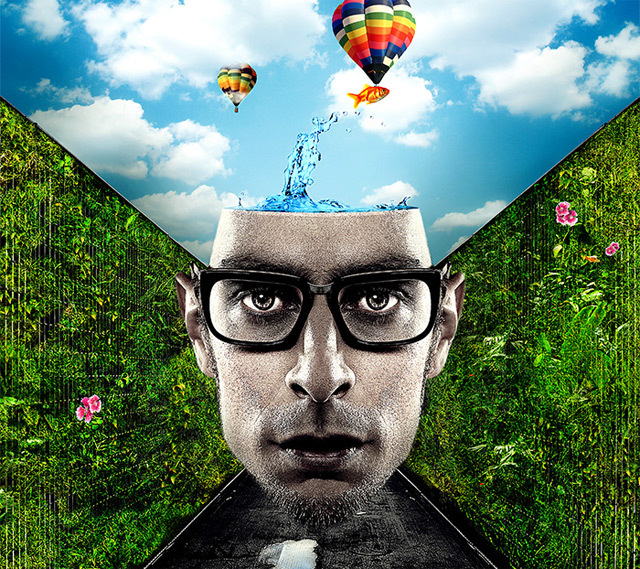 You will learn to use various stock photos and blend them together to create one cohesive scene. 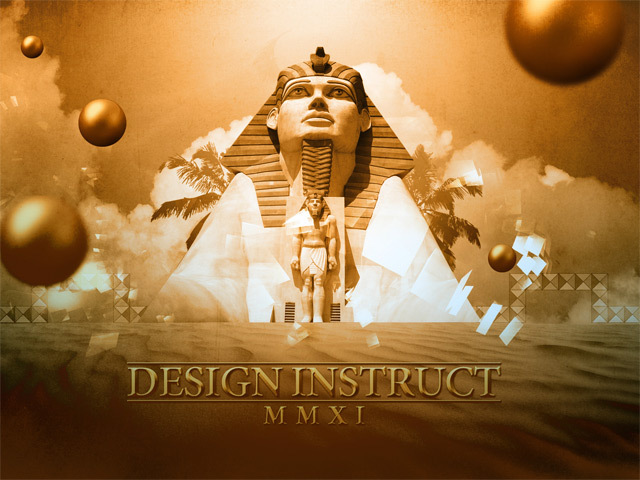 You will learn how to apply textures, create a gold text effect, add interesting design elements like golden globes and palm trees, use adjustment layers to manipulate colors, and a few more additional tricks along the way. 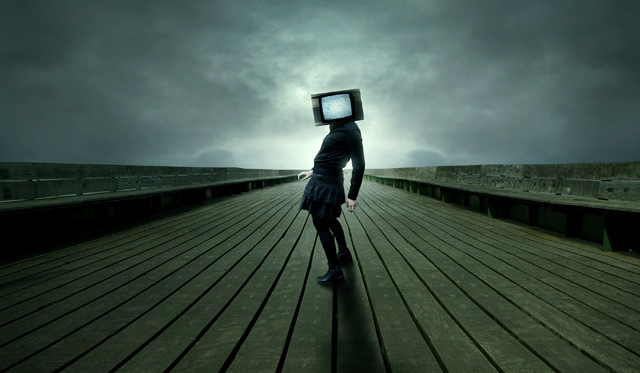 In this tutorial you will see how to make a dark and mysterious scene with the subject having a TV for a head. You will see how to seamlessly replace a person’s head with another object—in this case, a television—and how to create a stormy sky using brush strokes. 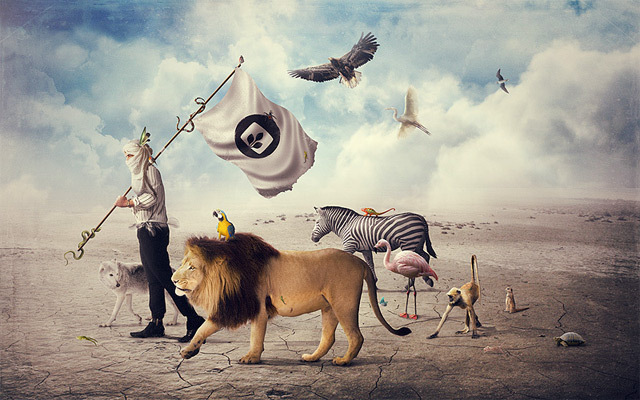 In this Adobe Photoshop tutorial you will find out how to to create a simple but effective photo manipulation that blends different images together to create a bold and surreal scene. This tutorial covers how to add realistic blood and shadows, easy-to-use techniques to blend images together, and applying image adjustments automatically using a Photoshop action. In this tutorial you will see how to put together some images and how to make use of some Photoshop brushes to design a fantastic fantasy photomanipulation in Photoshop. 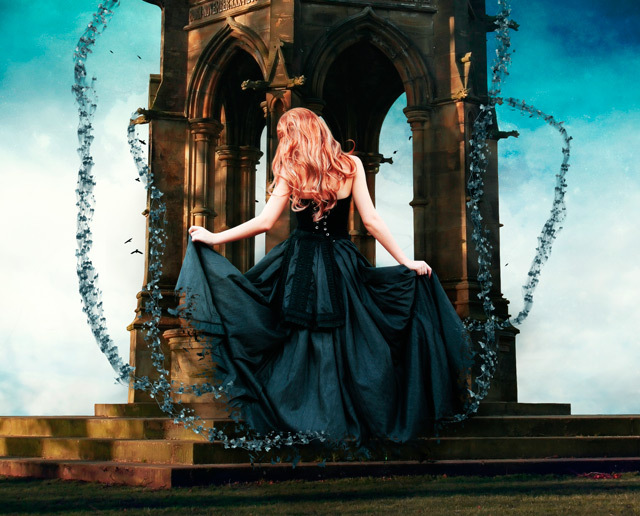 You will learn to create a scene with a girl floating in front of a building and some vines that connect the girl to the gargoyles of the building.